The Cleveland Browns are about to Brock, but we won’t salute you. 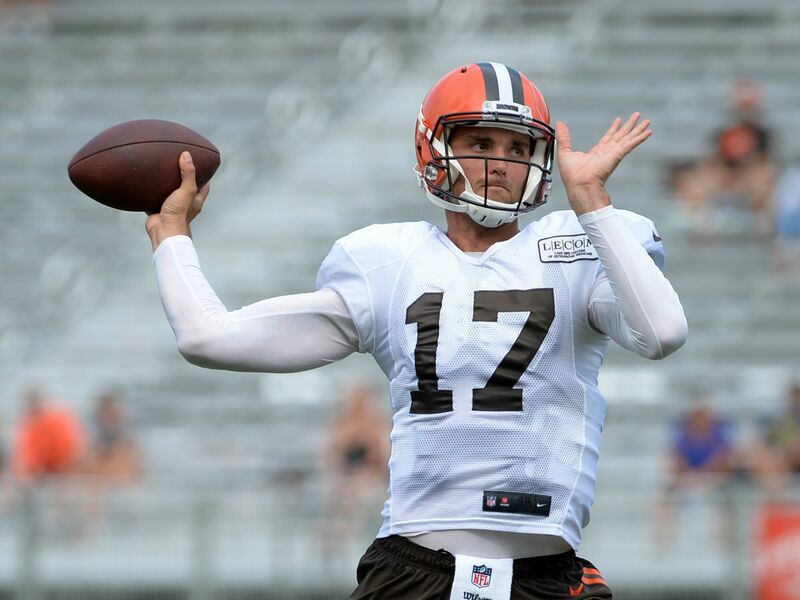 Yes, the Browns made a hype video about Brock Osweiler getting the first preseason start. While it is easy to get excited about two of Northeast Ohio’s professional sports franchises in the Cleveland Cavaliers and the Cleveland Indians, the same can’t be said for the dreadful, constantly rebuilding Cleveland Browns. Though the Browns may not be the worst team in football thanks to teams like the Chicago Bears and the New York Jets, they are actually excited about starting Brock Osweiler at quarterback in their first 2017 preseason game against the New Orleans Saints on Thursday. The Browns might be about to Brock, but do we really want to salute on this? Well, at least the Browns are getting their money’s worth on the overpaid signal caller out of Arizona State. Check out this hype video if you need to get fired up this week. The Browns are in the midst of a three-man race for starting quarterback in 2017. Osweiler seems to have the edge over Cody Kessler and DeShone Kizer in early August. However, Kessler is only a second-year player out of USC and Kizer is a rookie out of Notre Dame. Osweiler has already played out his rookie contract with the Denver Broncos and had one year with the Houston Texans. Though he definitely had his struggles in Houston, the Texans did win the AFC South with him as the starting quarterback. That said, Houston had an elite defense and Osweiler was benched in December for Tom Savage against the lowly Jacksonville Jaguars. While we shouldn’t laugh hysterically for the Browns getting this hyped about Osweiler, could you imagine what it must be like to still struggle to find the heir apparent to Bernie Kosar? Cleveland Rocks! And apparently so does Ösweiler (rock dots!) for the Browns because that’s what Twitter tells us. For those about to Brock … we salute you?